Being the first novel in a seven book series, it gets a bit hard to judge the plot line and characters as a whole. 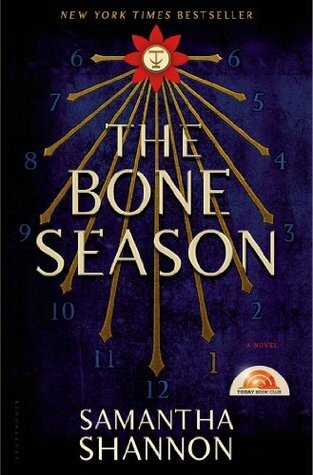 However, the first book for The Bone Season series has certainly left an impression. The world is a lot more complex and very confusing compared to other worlds in fantasy novels. However, Shannon's world building skills aren't very perfect. In fact, she rushes through it by throwing chunks of information in the first 50-100 pages to try and explain Scion London. Still, I persevered and slowly the picture began to form of what she was attempting to paint. Shannon's writing flows a lot better after those moments and she eases into the plot at a nice pace. It's not very slow even though the book is quite thick. I read it 2 to 3 days though, so it was certainly interesting enough for me. I'm also willing to read the second book and am actually waiting to see what occurs after the massive cliff hanger. I'd say the series has potential. Watch here for a more thorough review of the novel.